It’s quite amazing when you know that the group playing on stage is having as great a time playing as the audience is listening and clapping. Saturday, Nov. 17’s sold out crowd totally enjoyed every minute of Glass Tiger’s marvellous performance. Lead singer Alan Frew carried on a good-natured running commentary about the songs they were singing, many off their new CD “31”, which is a collection of many of Glass Tiger’s greatest hits over the past 31 years. He also told us about their long-time friendship with another Scottish lad, Johnny Reid, who produced the album. “31” was put together with the thought that it could be shared with an audience just like the one they were performing for at TMWC. The evening was about friendship, caring, love and family. As expected, the audience gave them a long, loud standing ovation that continued as they came back onstage. They ended the concert by singing “Don’t Forget Me” and the whole place was on their feet singing and clapping along. Before they finished, Alan Frew said that Glass Tiger has played in thousands of venues, before crowds of up to 100,000, but playing at TMWC was one of the best times they have had because of the warm reception they received. The audience certainly agreed that it was a mutual feeling. Thanks to Main and Market and 47 Main for sponsoring this concert! It’s 2018 and Glass Tiger have marked 31 years of making music together. 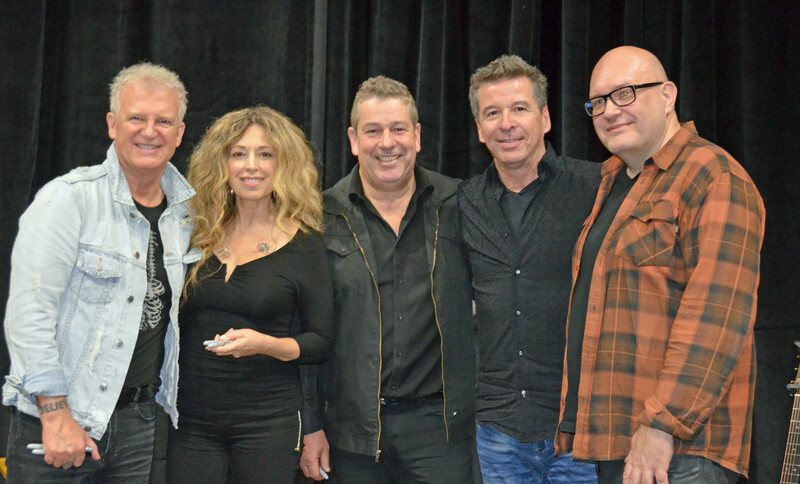 Glass Tiger has toured with international music legends like Tina Turner in Europe, the ever popular Journey (with Steve Perry) in America and Roxette throughout Europe and Canada. Few bands can tour the world for 31 years, and still enjoy each other’s company. Glass Tiger are still going strong.